Omer Asik #3 of the Chicago Bulls moves against Dante Cunningham #33 of the Portland Trail Blazers at the United Center on November 1, 2010 in Chicago, Illinois. 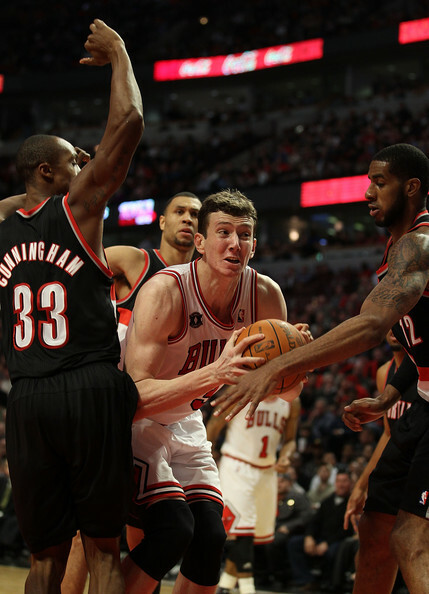 The Bulls defeated the Trail Blazers 110-98. NOTE TO USER: User expressly acknowledges and agrees that, by downloading and/or using this Photograph, User is consenting to the terms and conditions of the Getty Images License Agreement.